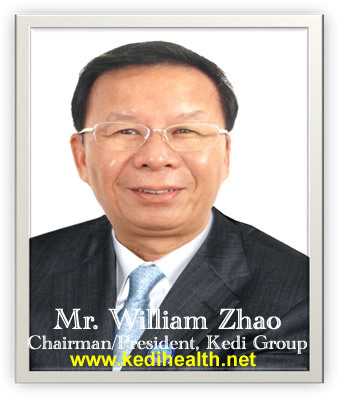 Kedi Healthcare Industries Nigeria Limited is a wholly owned subsidiary of KEDI Healthcare Industries Company (Hong Kong) Ltd. Kedi Hong Kong, located in Hong Kong is in China, the world famous free trade port, financial center and special administrative region of People's Republic of China, is a giant conglomerate with business interest in pharmaceuticals sector in China. It's subsidiaries include Kedi Healthcare Industries Nigeria Ltd., Kedi Healthcare Industries Ghana Ltd., and a joint venture company with two other pharmaceutical companies named YFK Pharmaceuticals Ltd.
KEDI HEALTHCARE PRODUCTS which we in Service Center 298 promote in all totality is in deed the best in providing both curative and preventive healthcare solutions to health challenges like Hypertension, Diabetes, Stroke & Paralysis, Fibroid, Cancer, Ulcer & Gastritis, Asthma, Tuberculosis, Pile, Male/Female impotence and infertility, Arthritis & Rheumatism, Painful Menstruation & disorders, Weight Control & Management, disorders of Lungs, Heart, Kidney, Liver etc. Other areas are: Body Immune Boosting & HIV Support, Anti-Aging, Anti-Virus, Anti-Bacteria, and a lot more. Join the Kedi Big Family now and begin a life of health and create wealth as well. Buy Best, Buy Quality, Buy Guarantee... directly from KEDI Healthcare.